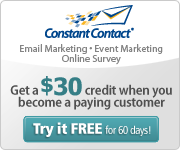 Posted by StrategicGrowth in mobile, Mobile Marketing, Strategic Growth Concepts. Popeye’s mobile coupon campaign that promotes the fast food chain’s three-piece chicken dinner has achieved a 54 percent double opt-in. Cox Media is running television spots in Wichita, KS, encouraging consumers to text the keyword POPEYES to short code 74642. Ping Mobile powered the campaign. Already 750 consumers have texted and more than 50 percent have opted in for future communications from Popeye’s. “This type of mobile advertising campaign was a perfect fit for the Popeye’s stores in Wichita,” said Mike Orr, account executive at Cox Media. “With the ability to directly engage clients with coupons and offers that provide the client with detailed feedback of what day of the week as well as what time of day that a response was generated from a product placed ad is a tremendous validation of return on investment,” he said. Then consumers are asked whether they would like to join to receive future communications from Popeye’s. “The strategy for this client was to find a unique and fresh way of promoting their three piece dinner- combining a great promotional offer, with a spontaneous and convenient method of redemption,” said Shira Simmonds, president of Popeye’s mobile service provider. The results of this campaign show how positive an impact mobile marketing has had on the Popeye’s promotion. Ms. Simmonds also said that the challenge for Popeye’s was using a newer medium while retaining the traditionalism and authenticity of its brand. 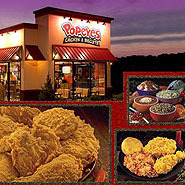 In addition, Popeye’s was faced with finding a way of integrating mobile into their redemption solutions. Mobile was a perfect tool for the Popeye’s brand because it enabled them to reach out to their target demographic (families) via a medium that is not only accessible to them, but also one that is their most personal and convenient device. Popeye’s also made sure that the offer was relevant and appealing to the target – a mobile coupon for a discount on dinner provides added-value to families in a time of economic uncertainty. The fast food chain is distributing its mobile coupons via other avenues as well, including a mobile couponing campaign offering free two-piece chicken dinners (see story). While results of 54% opt-in are certainly not standard for mobile marketing, the results ARE typically much higher than most traditional forms of marketing. Results of 10 – 15% are fairly standard, though many mobile campaigns have achieved a response rate as high as 30%, compared to direct mail which typically results in a 2 – 3% response rate. Should you be interested in learning more about mobile marketing and how it can help grow your business, please review the mobile section of our website, mobile marketing articles within this blog, or contact us directly via the website or email at info@strategicgrowthconcepts.com for a FREE initial consultation. The chicken may not be the best for one’s calorie consumption but Popeye’s marketing strategy is a winner! The author, Linda Daichendt, is Founder, CEO and Managing Consultant at Strategic Growth Concepts, a consulting firm specializing in start-up, small and mid-sized businesses. She is also the Executive Director of the Mobile Technology Association of Michigan (MTAM), a non-profit trade association for Michigan\'s mobile / wireless technology industry. Linda is a recognized small business marketing expert with 20+ years experience in a variety of industries including: wireless, retail, chemical distribution, residential and commercial contracting, automotive aftermarket, personal services, shopping center development/management, and entertainment facilities management. She is also recognized expert in the use of mobile / wireless technologies for businesses of all sizes. Linda is available for consultation and can be contacted at linda@strategicgrowthconcepts.com. The company website can be viewed at http://StrategicGrowthConcepts.com. Those interested in exploring the mobile / wireless industry may visit the MTAM website at http://GoMobileMichigan.org. Please subscribe today so you can benefit from the award-winning blog content! What is your New Year’s Resolution for Your Business in 2012?